In an effort to get you ready for everything you might need for the upcoming 2014 Disneyland Half Marathon Weekend, we have adopted a Disneyland theme for our first "Tuesday Reviews-day" posts. Happy running, and happy vacation planning! This week, we decided to review a hotel we have stayed at many times while visiting the Disneyland Resort. Growing up as a Walt Disney World girl, I was convinced early that staying on property was the only way to go! Disneyland, however, is a totally different story—off property is (almost) just as convenient and much cheaper. We have stayed at a few duds (but let’s try to keep this positive). A few years ago, we stumbled upon Tropicana Inn and Suites right after a remodel. The price was right and the location couldn’t be beat. We tried it once, and it has become one of our “go-to” choices. No, you won’t find much Disney magic here, but what you will find is a short walk to the park entrances, clean rooms, and a basic breakfast options in a café downstairs. The price is a quarter of what you would pay to stay on property. 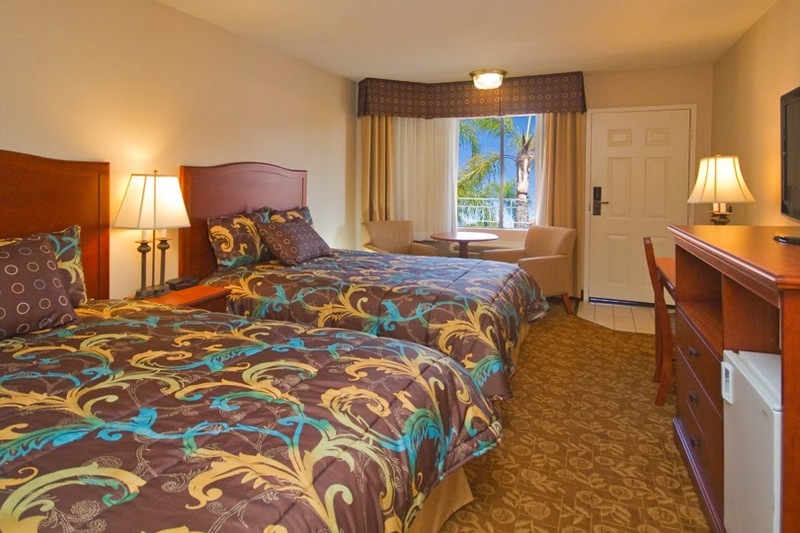 For runDisney race weekends, we love staying here because every extra step we can avoid, we do to save our legs. It’s also great if you are one that likes to take a mid-day break. No need to walk a few miles back and forth to get to your room. The front desk and parking attendants have always been kind and helpful, even when arriving late or very early. The rooms are basic, no frills, but when you are on a budget and planning on spending all your time in the parks, this works perfectly. The hotel itself is motel style, with room entrances surrounding a common courtyard. There is a pool and spa, and while we aren’t big swimmers, there are always people in there enjoying the facility. It looks to be well kept up and clean. Yes, I’m big on hotels being clean. As long as it’s clean and there is enough space to move around, I’m good. 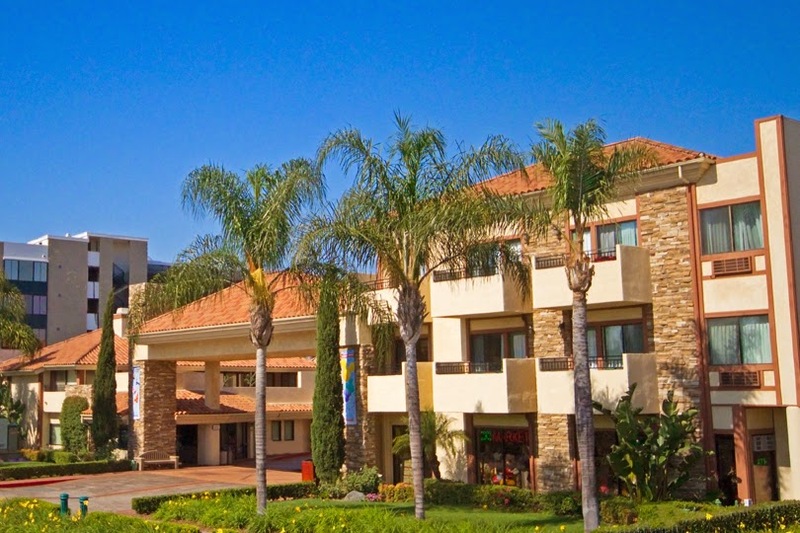 During the 2013 Disneyland Half Marathon weekend, we stayed here, 4 adults in one room. Now, I have to admit, it got a little crowded, especially when we started stacking up our souvenirs and expo purchases. It was a huge plus, though, to have a fridge and microwave, especially for that weekend, so we could keep on top of our nutrition leading up to the race day.